I had a blast on this one last year, as I scrambled to complete an epic series on Léolo. This coming year I will tackle two films: Pit Pony the feature version of the book that lead to the TV series, and Kids in the Hall: Brain Candy. Joining the Backstage Blogathon at Movies Silently! Love the blogathons over at Movies Silently! I’m glad to be able to take one off Fritzi’s wishlist as I take on a Little Rascals short Our Gang Follies of 1936. Look for it in January! I will be covering The Swan for this one! Do you like blogging? Do you like blogathons? You think November is a boring month? Well, join me and participate in The Wonderful Grace Kelly Blogathon! After the success of The Wonderful Ingrid Bergman Blogathon, last August, I felt like hosting another one. I was thinking of waiting a little bit, but I couldn’t. 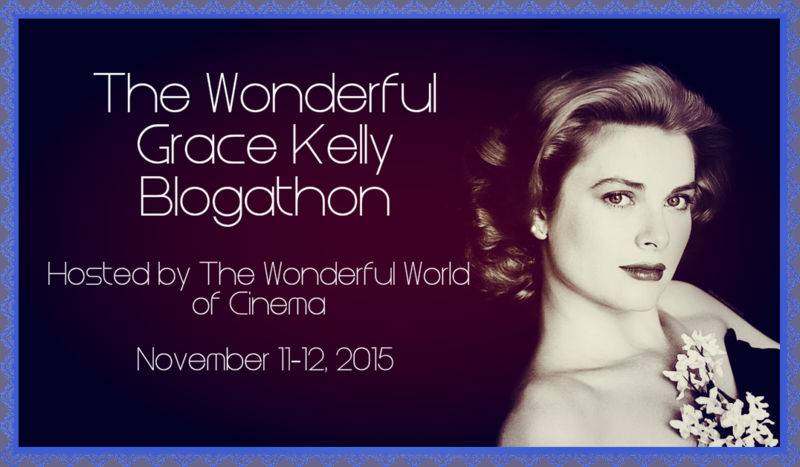 The Wonderful Grace Kelly Blogathon will take place on November 11 to November 12, 2015, on Grace Kelly’s birthday. She won’t be celebrating her 100th anniversary or her 80th, just her 86th, but don’t we deserve to be celebrated at any age? Of course, Grace WOULD have been 86, because she tragically died in 1982 at the very young age of 52. 😦 Well, we’ll celebrate her heavenly birthday!